Camping & Golf Carts - Welcome to the 168th Morrow County Fair! 1. The payment deadline for camping will be Friday, May 31, 2019.
from 9:00 A.M. to 4:00 P.M. and Saturday, June 8, 2019 from 8:00 to 10:00 P.M.
sites, and $185.00 or $255.00 for outback sites. This price includes one season pass, now valued at $30, which may also be used for Sr. Fair entries. for pick up after July 1st at the Sr. Fair Office. 1. Handicap permit will cost $50.00 and proof of insurance and a copy of the handicap placard must be presented at time of purchase. 2. All permits must be purchased before the start of the fair. 3. Only permit holder may drive the cart. 4. Senior Fair Board is not responsible for renting or providing golf carts for individuals or any damages that may occur to an individuals personal or rental cart. 1. Season Pass and reservation must be in the same name. 2. No dogs or pets shall be allowed on the Fairgrounds. 3. No air conditioner hookups. 4. 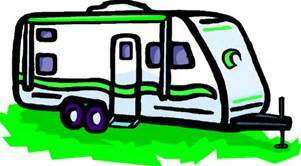 No camper will be set by the Fairboard before 9:00 a..m. on Sunday before the Fair. A $25.00 charge will be assessed if the campers are set early. No person is permitted to sleep on the grounds until Monday of the Fair. 5. Only one (1) camper, trailer, tent, bus or any other unit per lot. Camper must fit on campsite. Only one car per site, all others, must be properly parked in the general parking areas. 6. One electric hookup permitted per lot. 7. No clothes lines, outdoor refrigerator or freezers permitted. 8. Fire lanes to be kept open at all times. Vehicles will be towed at owners expense if in fire lanes. 9. Permit to be in roadside window at all times. window, a $10.00 charge will be added to next years camping fee. 10. Restroom area must be kept clean. 11. There is a 11:00 p.m. curfew Monday through Thursday and 12:00 a.m. Friday through Sunday. 12. Generators will be shut off from 10:00 P.M. to 8:00 A.M..
13. Camping in designated area only. 14. The Fairboard may move any campsite at its discretion. 15. No person shall operate golf carts or any other type of motor vehicle on the grounds. Exceptions: Fair Board members, concessionaires and handicapped persons who have registered in the office. 16. No alcoholic beverages permitted. 17. Campers agree to abide by the Morrow County Agricultural Society Constitution, Bylaws and Rules as found in the 2018 Fairbook. 18. No subletting of spaces. 19. No water line connections. 1. The lottery system will be used only for UNRESERVED spaces. 2. On JUNE 8, 2019 from 8:00 a.m. to 11:00am lottery tickets may be picked up at the fairgrounds. One per family. The person picking up the lottery ticket must be at least 18 years old. Each person’s name and ticket number will be recorded. The name on the ticket is the name the space will be reserved in if that ticket is drawn. Charts showing the location of the unreserved camping spots will be available at 8:00 a.m.
3. At 11 a.m. the drawing will be held. No more lottery tickets will be passed out. When a ticket is drawn, the number and name will be announced. When choice is made, payment is taken in cash or check. Winning ticket holders are expected to make their choice in a reasonable amount of time. 4. After all the unreserved spaces have been filled, names will be drawn for the “overflow” camping spaces. When spaces become available, these people will be contacted in the order their names were drawn. 5. RETURNED CHECKS are considered non-payment and the spot will go to the next name on the overflow list. Post dated checks are not accepted as payment. Camping Reservations for the 2019 Morrow County Fair will be $ 170.00 including a Season Pass for a spot with electricity. Primitive camping is available for $150.00 including a Season Pass. Campers will save $10.00 by reserving their lot after Wednesday of the 2018 fair for 2019.